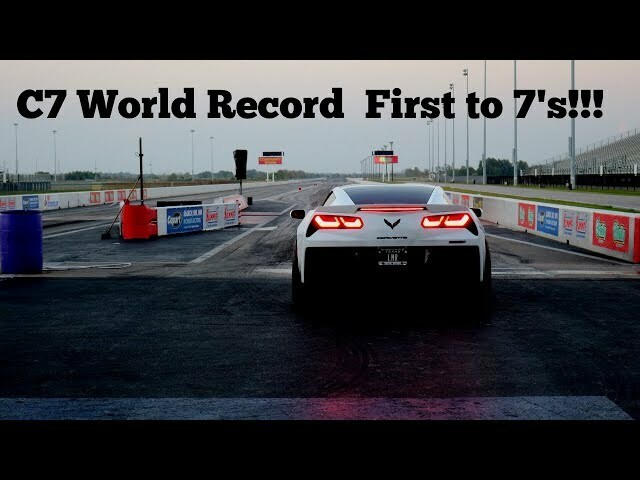 C7 World Record!! LMR first into the 7s! Gain 50 - 1000+ horsepower! Committed to excellence, Late Model Racecraft is a 12,000 sq. ft. full service, state of the art facility that offers a full range of skills to serve you - from expert product support and customer service to World Renowned Technicians and Custom Dyno Tuning. This has proven itself to be one of the highest selling packages we offer here at Late Model Racecraft. Between the awesome sound of the blower and the rumble of the exhaust you’re sure to be more than satisfied! Our second most popular package here at Late Model Racecraft. It offers everything you need to turn quick times in the ¼ mile while still allowing you a seamless drive to the store, turning heads along the way. The perfect package to compliment the already powerful Gen 3 CTSV. It adds a healthy rumble with the help of aftermarket exhaust while also giving a mean lope that’s sure to set you apart from the pack. With a combined experience of over 30 years, Late Model Racecraft is home to the fastest and most powerful LSX’s in the World! "Cheapest is not always better, especially when it comes to our cars. You guys rock!" "Steven and his crew are like family tome, I look forward to working on the next round of projects. 5 Stars for LMR!" "LMR is the premiere shop in the south, and arguably the best in the world. I couldn't be happier with Late Model Racecraft." Late Model Racecraft specializes in performance upgrades for Chevrolet Corvettes and other domestic cars and trucks, as well as exotics. © 2018 All Rights Reserved. Powered by Liquid Amber.